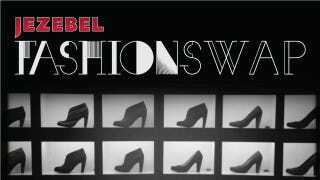 Reminder: Jezebel's Fashion Swap Meet Is Tonight! Rain or shine. This is serious business. Be there or be...somewhere else. Which is ill-advised, especially since I have a cute pair of J.Crew espadrilles with your name on 'em.